Verification of past employment, Education, Licensing. 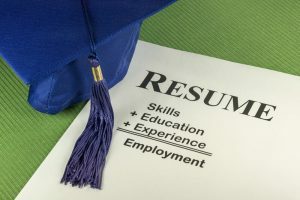 A careful employer does not take as a certainty everything in an applicant’s resume without an employment background check. why Applicants are routinely asked for references with e-mail addresses and phone numbers to be checked out. A background check on an applicant’s employment history records can protect the company as well as fellow employee’s and management. Employment verifications and background checks are investigated for a variety of reasons. Potential employers and others with interest search a person’s employment status, current location of employment and history of employment. It is important for employers and headhunters to see if a person in question is currently employed, has a questionable work history or submitted an accurate and truthful resume. Poor hiring or headhunting often costs a company lost productivity, potential lawsuits and grievances, diminished employee moral and the blow to corporate reputation. One of the top reasons for unsuccessful hiring is the decision maker having false information or not enough accurate information. What’s more, our reference checks provide you relief. Relief from making numerous phone calls. Relief from confirming every applicant claim. Relief from tracking down hard-to-access details. This search provides verification of education status in the requested college or Educational institution. GED and High School Results also available. Turn-around time is 1 to 5 Business days. We also verify certificates. Search Fee: $15.00 plus any school record fees if applicable. School fees will vary based on school. Signed release required. Verification will be obtained through the educational institution(s) listed. If the applicant is a current student, planned completion, credits earned, and student status will be obtained. Some educational institutions will not release transcripts or course grades. Transcripts can be obtained for an additional fee. Click on any of the terms below for more information on any of our employment screening background check services. Health Care Provider Employment Screening FACIS®.